TRENTON – Following an extensive nationwide search, the SPCA of Hancock County has hired a veteran animal welfare professional, Nichola Redmond, as its new executive director. 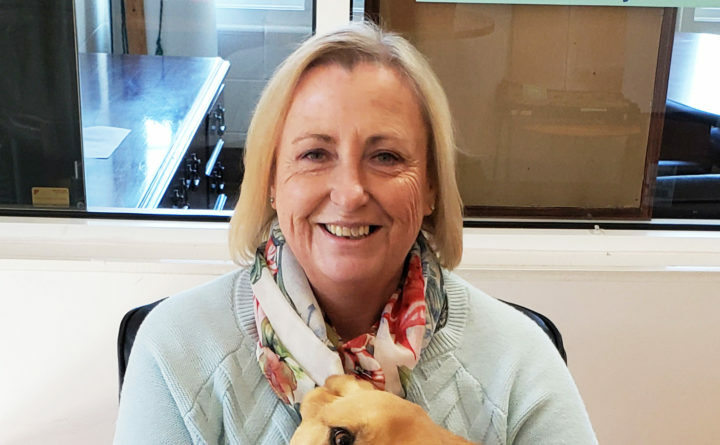 Redmond, the current executive director of the Gloucester-Mathews Humane Society in Gloucester, Va., will begin her new position at the SPCA later this month. Redmond will oversee the operation of the non-profit animal welfare organization and its shelter, including all development and fundraising efforts. Under her leadership at the Gloucester-Mathews Humane Society, Redmond increased the number of animal adoptions and implemented a diverse fund-raising plan that helped move the organization from an annual deficit to a revenue surplus. She previously worked as executive director of Main Stream, Inc., in Oldwick, N.J., and the Animal Welfare Association in Voorhees, N.J. Redmond also has extensive experience as a veterinary technician. She will be residing in Ellsworth with her three Corgis – Bechan, Dilys and Trey. The SPCA has not had an executive director for seven years. Former board member Diana de los Santos, stepped in as director in 2012, and has done a great job running the shelter, O’Keefe said. She will remain on staff while Redmond transitions into her new position and plans to stay engaged with the organization as a volunteer.